has 7 top 25 finishes, 5 top 10 finishes and one win this season. 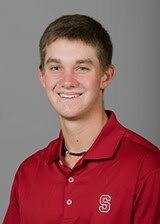 Patrick is the #2 ranked amateur in the world by GolfWeek and the #5 collegiate golfer, also by GolfWeek. Here is a link to a recent video interview by GolfWeek of Patrick (video done late in 2011) --- Video interview of Patrick by GolfWeek.